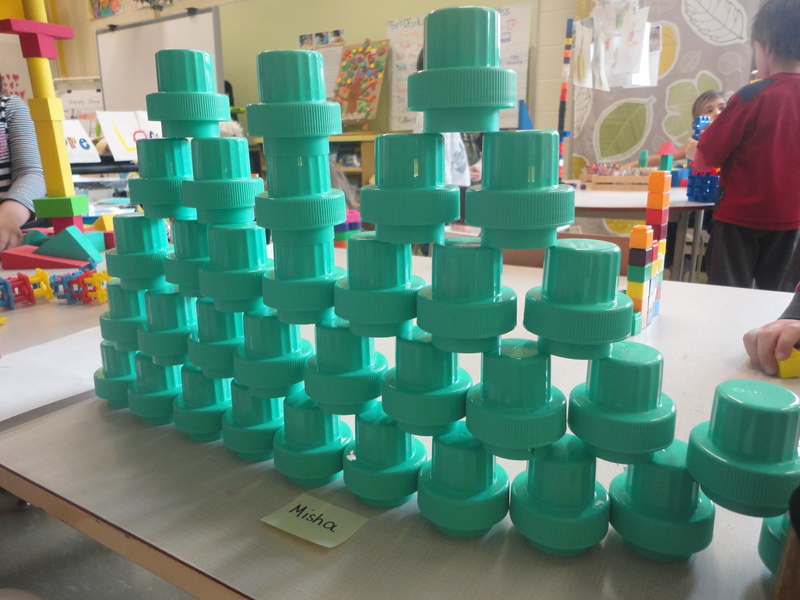 This entry was posted in Math Science Investigations (STEM), Mathematics, Science and Technology and tagged building in kindergarten, Building Structures With Young Children, M.S.I., Math and Science Investigations, Reggio inspired kindergarten, STEM in Kindergarten, structures in kindergarten, technology in kindergarten by msmcdonell. Bookmark the permalink. Thank you Erica! Math science Investigations would absolutely be appropriate for older children. I could see a lot more investigation/research possibilities, team/group work, etc. Hi…I am excited to have found your site. I have wanted to be a teacher of this kind of program for a long time. Now I feel as though I am not alone. 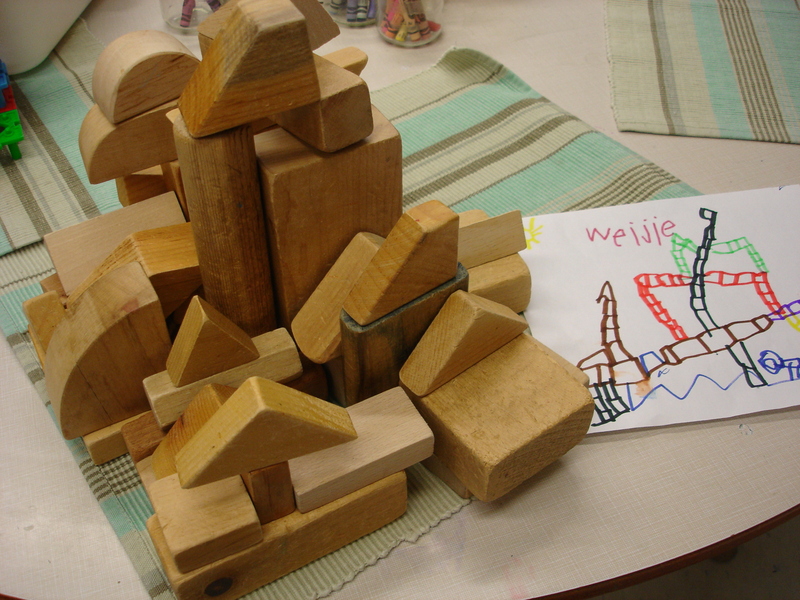 During M/S I, do the children build anything they want to, or do they build something specific (based on your lesson or the topic you are focused on)? Hi! Great question! When I am launching MSI, the children build whatever they want to. 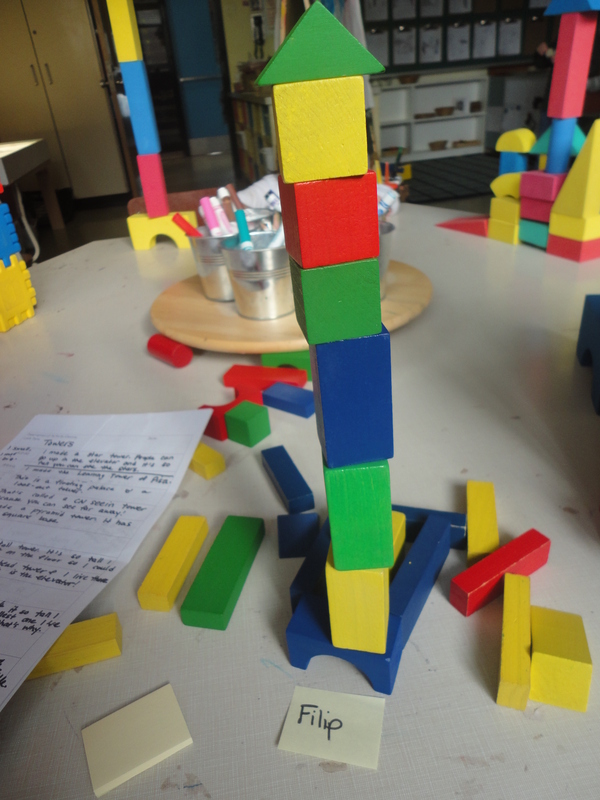 When we are engaged in a specific inquiry project, they build according to the lesson of the day (e.g., during our tower inquiry the children worked on towers for several weeks during MSI). 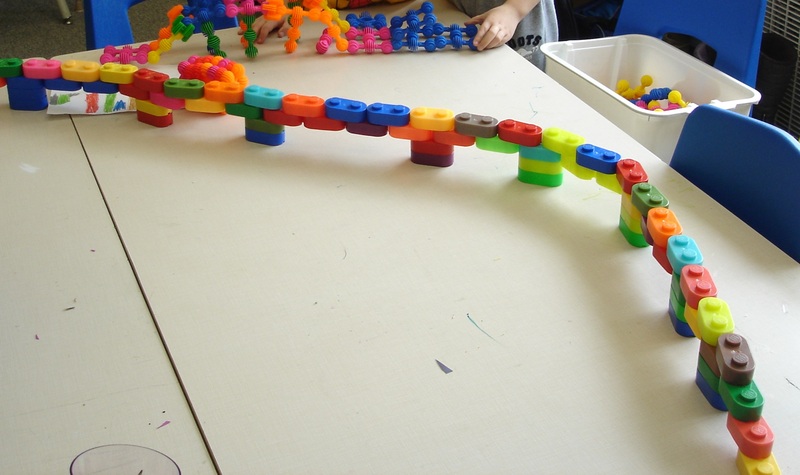 When an inquiry ends, I often encourage the children to build freely just to get ideas from their interests. Thanks for your response! One more question; other than Building Structures With Young Children, are there any other resources you would recommend for supporting an MS/I program? Thank you! I simply loved you blog and ideas… I have a question concerning the M.S.I. Do you always let the children plan first, or do they go straight to working with the materials and later on they plan (draw their plans).? Tks a million for sharing. Hi Andrea! I don’t actually have the kids make a plan each time. Usually I do a mini lesson and the exploration time is just the building time. We often leave recording or planning until later in a project when the children have a better idea of what they need to accomplish or include in their structures. For drawing, it is much easier for children of this age to draw/record a picture of something they have already built than it is for them to draw a plan first. Usually our projects at the beginning of the year involve the kids drawing their completed structure. Projects later in the year involve more pre-build drawing. Hope this helps! Thank you for sharing your ideas! Very helpful and I will certainly be looking for the book you suggested….I was wondering how you transfer the photos to the smartboard that quickly….is there a program you use? Hi Celia! I do it a few different ways. One way is to use a camera with an SD card and stick the card into your laptop while the kids are tidying up. If you are using an iPad or smart phone to take pictures, I recommend using an App like SeeSaw. Whatever photos you load into your timeline are accessible on all your tech objects immediately. So I’ll take a photo in SeeSaw with my phone and then open SeeSaw on my laptop’s browser and it will be right there. Hope that helps! Thank you so much!! I will try it!! Thank you for sharing! I have begun an M.S.I. period in my class as well this year. I don’t have nearly as many interesting things to build with as you do, but the collection will grow eventually! I already love to visit my local ReStore for loose parts so I will have to keep an eye out for more items for MSI. I have a couple of questions for you. What is the time frame that a period of MSI operates in? How long do the children build for? Also, do the children work with partners ever? or is it more solitary building. Many of my students gravitate to working with someone else – lots of great collaboration happens during this time. Thanks again for sharing your fabulous practice!